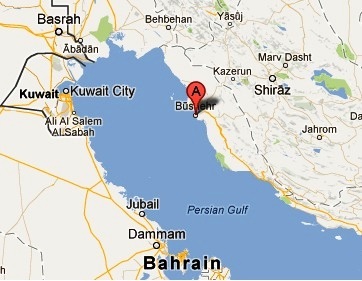 Bushire is a seaport in Iran and is the capital city of Bushehr Province. It is located around 750 miles south of Tehran. In the nineteenth century, Bushire was the main seaport of the area although there are currently several other prominent ports in the country. Great Britain occupied the port in 1856 during the Anglo-Persian War and again in 1915. In recent times, Bushire was in the news as being close to the site of Bushire Nuclear Power Plant. The project was conceived as early as 1975 but was finally commissioned only in September 2011. Philatelic items from Bushire include ‘used in Bushire’ stamps from India and Great Britain along with Iranian stamps with “BushireUnder British Occupation” overprints issued in 1915. Most of the stamps from the period are sought after and highly collectible. Valuable Indian stamps used in Bushire include early issues with the 308 overprint in Used condition from the period between 1854 and the turn of the century. Certain inverted overprints and other errors also exist although there are very well executed forgeries in the market as well. Iranian stamp designs with the “Bushire UnderBritish Occupation” overprints include Ahmad Shah portrait issues, the Imperial Crown issues, King Darius Farvahar overhead issues, and ruins of Persepolis issues in different colors and denominations. A notable variety among theoverprints is the “no period after OCCUPATION” issues which fetch roughly double the premium compared to the regular varieties without the period. There are a total of twenty nine stamps along with fourteen “no period” varieties. It will however require quite an effort to assemble the complete set of these issues as some of them are very rare and valuable. The 2c blue & car, the 5c red, and the 6c olive green & car are the rarest and feature the Imperial Crown design. All the stamps in that set (Scott #N15 to #N29) issued in September 1915 fetch a premium upwards of $500 in Used or Mint condition. The first set (Scott #N1 to #N14) is also sought after and catalogs for around $2600 for Mint and around $2K for Used. The issues have the Lion watermark (161) and form a step in identifying forgeries. The “Used in Bushire” examples are also very collectible although the values vary widely depending on condition and whether the examples are on cover. Bushire had a mint (Abu Shahr) and several coins of the nineteenth century were produced there. Copper coins with animal designs form the majority of the issues and they fetch around $40 or so in VF. Originalpostcards and photographs showing local scenes of nineteenth century life in Bushire fetch a premium into the $100s depending on condition. 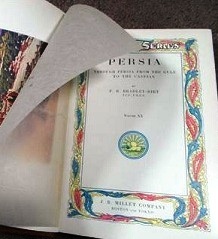 First editionsof Persian books covering the area are also very collectible.